Close the teeth together all around, and put the tongue against the roof of the mouth, being especially careful that the back of the tongue and the soft palate are in close contact. Feel with the point of the finger placed under the jaw midway between the chin and the angle of the neck, noticing that the chin muscles are relaxed—that they are soft to the touch. Now, keeping these conditions unchanged, the mouth closed, the back of the tongue up against the soft palate, and the chin muscle soft, hum at any convenient pitch, a very soft m. Do this again, making a decidedly nasal tone, which causes distinct vibration at the bridge of the nose. Practice this at different pitches, trying to make the tone hard and resonant against the bridge of the nose without hardening the chin muscle nor disturbing the other conditions. 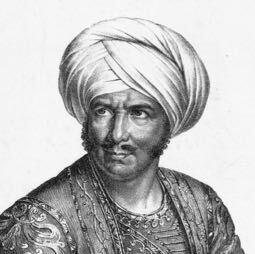 Imagine the region about the bridge of the nose to be a sounding-board, and use this exercise to learn to push the tone, as it were, forward upon the sounding-board by means of a muscular effort in the head behind the nose, and without assistance from the breath or anything else. Ten. That tone is so very nasal. Prof. Certainly, it can be nothing else when your mouth is closed. Sop. I don't see where such tones as that can possibly come in in singing. Prof. They do not; but the action which I am trying to make you conscious of is the most important thing a singer has to learn. In my experience the m exercise is a safe an effective way to make the pupil conscious of the process which correctly places or resonates the voice. Alt. I have heard Prof. Spectrum says humming is bad for the voice. Prof. Yes, there has been a great deal of debate over exercises with the mouth closed. The solution of it all is the action of the chin muscles. 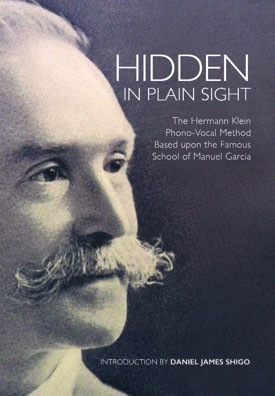 Closed-mouth exercises, with the chin muscle rigid, hard, pressuring forward, are distinctly injurious; with the muscle relaxed, soft, held upward in its natural position, they are beneficial to every singer without exception. This exercise, No. 19, is a temporary one, to be discarded just as soon as you can do Exercise No. 20 with some degree of certainty. At any convenient pitches in the octave, from B-flat to B-flat or C to C or D to D, practice swelling tones with vowel sounds. As the tone increases in power the vowel will seem to come more forward to the front of the face, and will manifest to some extent at the bridge of the nose and the hard palate just back of the front teeth. The conditions under which these swells are to be practiced are, (1) keep jaw perfectly relaxed; (2) the tip of the tongue lightly against the lower front teeth; (3) no sound of breath in the tone nor conscious effort of breath pressure; (4) a sensation of nasal tone, the sensation being as distinct as possible without allowing the tone to sound nasal; (5) the sensation of perfecting the vowel as it presses forward. This direction applies principally to ah and e. Practice this exercise only on pitches where it goes easily. Bas. I get e in that way much easier than the other vowel sounds. Prof. That is generally the case. You probably get them all correctly, but one with the definiteness of sensation which you have with e.
Sop. I get very little of the effect of a sounding-board, as you call it, with my lower notes. Alt. Nor I with my middle ones. Prof. Don't try to practice this exercise at first with notes that seem obstinate. A good way to approach the more difficult pitches is to do each on with m, as in Exercise No. 19. Then, after taking breath, follow immediately with vowel sound, as in Exercise No. 20. 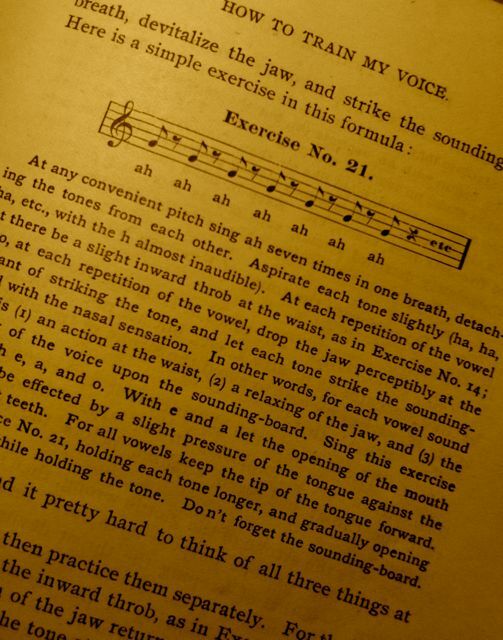 The all-embracing formula of voice production, considered simply as a mechanical act, consists of three items: First, breath management; second, the relaxing of those throat, jaw, and tongue muscles which impede tone; and third, the proper exertion of those muscles which give the voice resonance. Briefly stated, this formula is: Control the breath, devitalize the jaw, and strike the sounding-board. 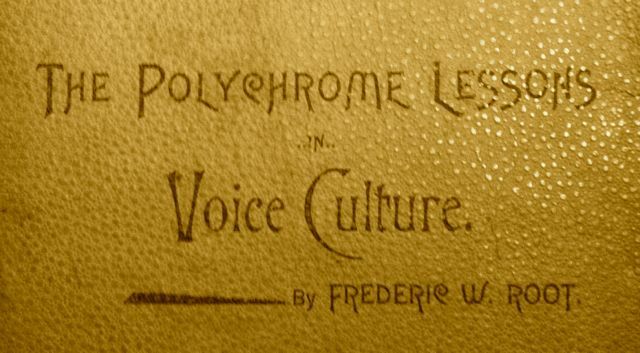 The Polychrome Lessons in Voice Culture (1896) by Frederic W. Root, 25-27. 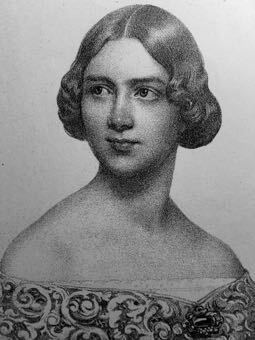 History records Francesco Lamperti as being decidedly opposed to humming, and Pauline Viardot-García as saying her father never taught it. 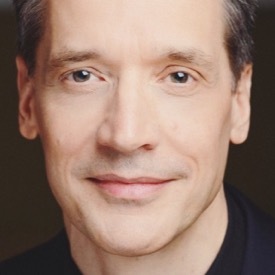 However, there were students within the García School who did: François Wartel and Erminia Rudersdorff, the latter calling them "closed-mouth" exercises. 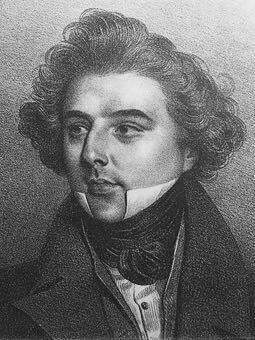 Who taught it to Root, who interviewed, and likely studied with Viardot-García's brother, who was named after his father? We may never know. Still it would be nice to know. 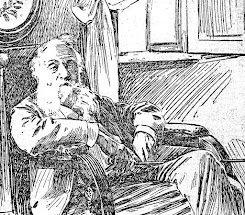 Whatever tack you take, this writer understands the matter under question as having everything to do with the audition of bone conduction, knowledge which Root understood in his own time (see here). Exercise No. 21 in Root's manual is none other than the start of the tone, which García named the coup de glotte.